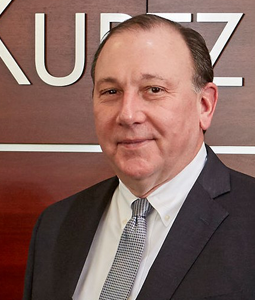 Mike is a founding partner of Boehm, Kurtz & Lowry. He has exclusively practiced electric utility law since 1986. His practice primarily focuses on representing large industrial manufacturers in contract negotiations and regulatory proceedings in Ohio and Kentucky. He regularly advises clients on competitive electric supply issues in Ohio, as well as regulated pricing issues in Kentucky. He has successfully represented industrial customers in obtaining economic development and interruptible service special contracts in both Kentucky and Ohio. His practice attempts to reach negotiated compromises with investor-owned and electric cooperative utilities in order to achieve cost-effective solutions for his clients. Mike has represented clients at 14 state utility commissions and FERC. His appellate practice includes cases before the Supreme Courts of Kentucky, Ohio, and Pennsylvania.